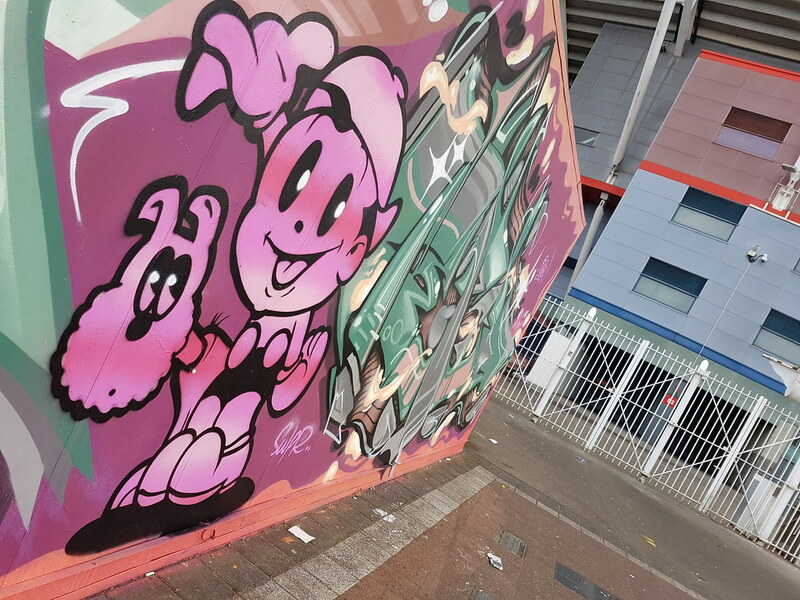 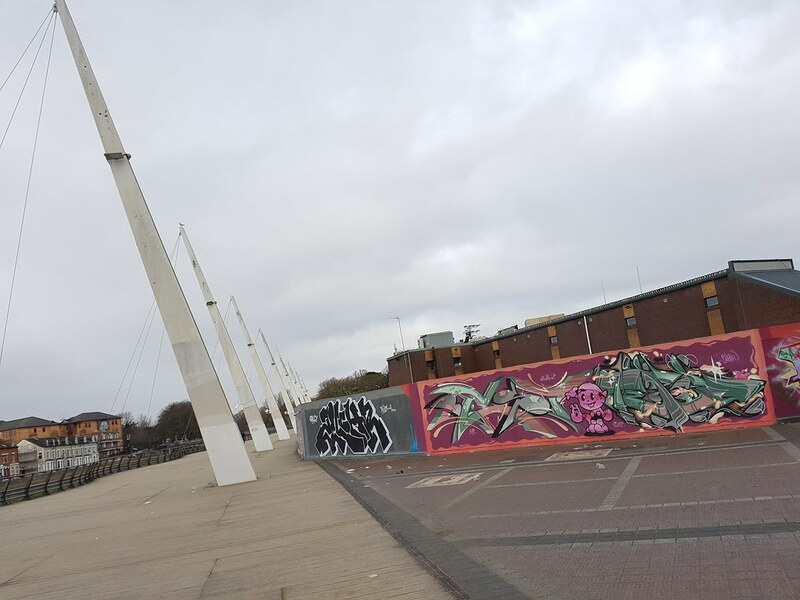 As work steadily returned to the Millennium Walkway a prime position closest to the Millennium Stadium got some serious attention featuring artists from both hemispheres. 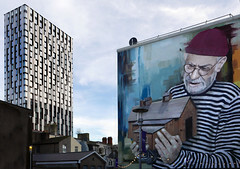 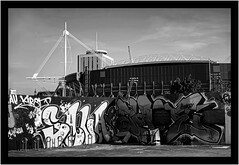 Cardiff based Peaceful Progress painted alongside kiwi Tepid. 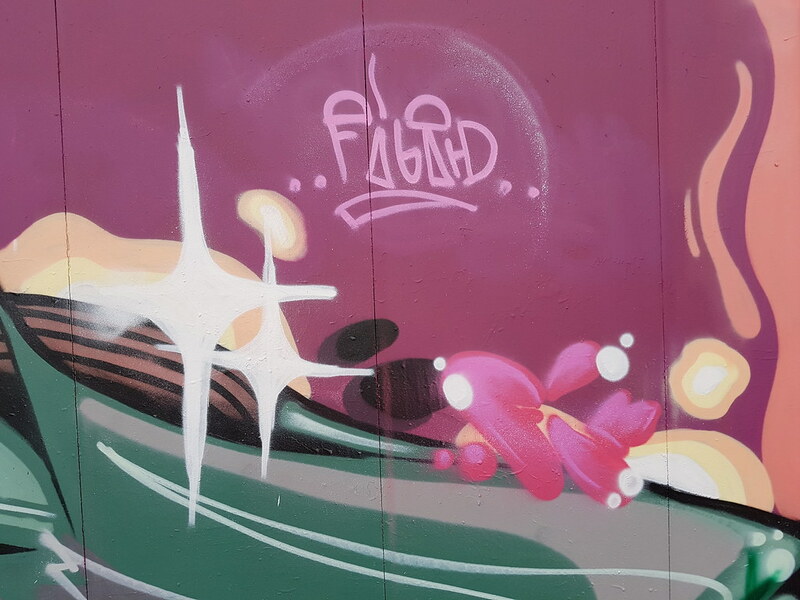 Created in very warm pink, purple and red colours the contrast of that green really stood out. 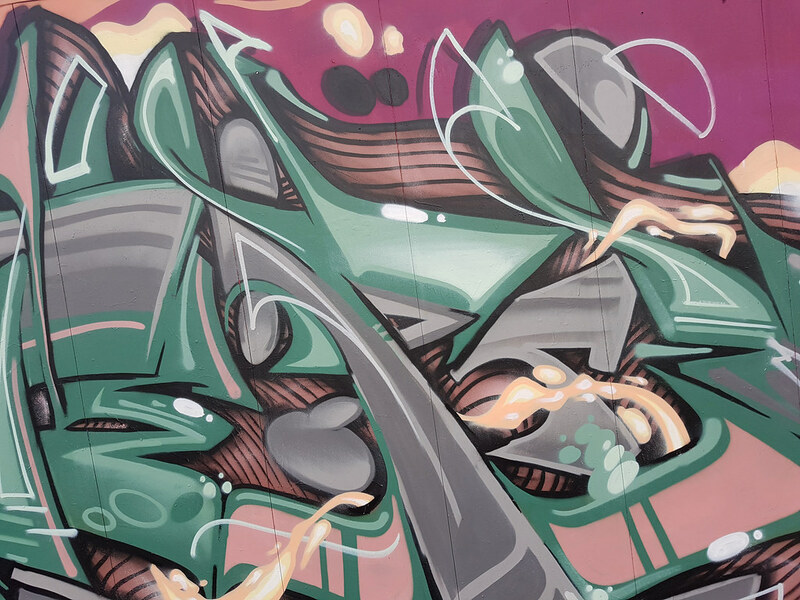 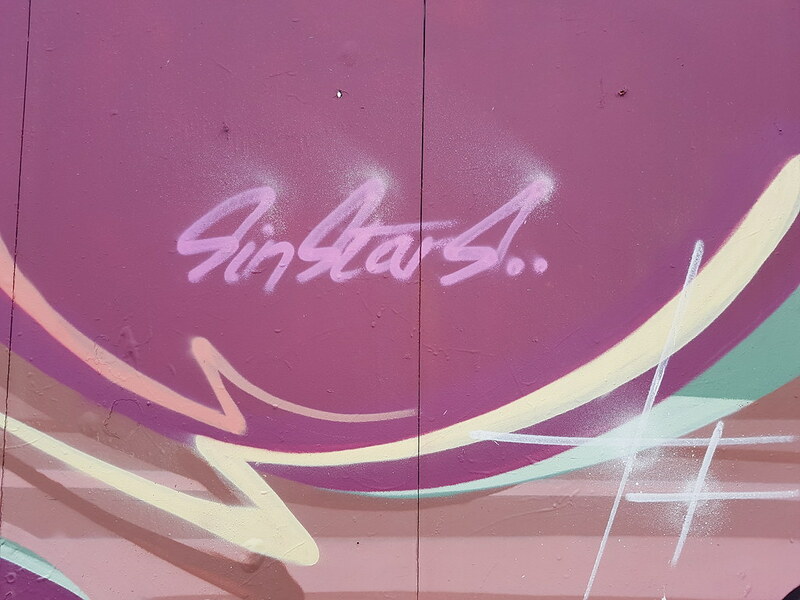 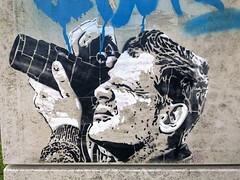 There was tags for Sinstars and ILC (In Living Colour) and introducing more work from newcomer Swpr. 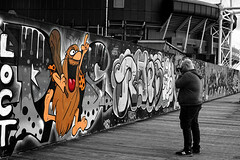 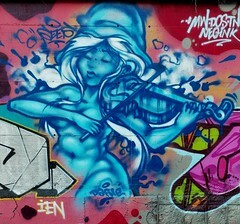 The cute character took centre stage straddling the two elaborate wildstyles pieces either side. 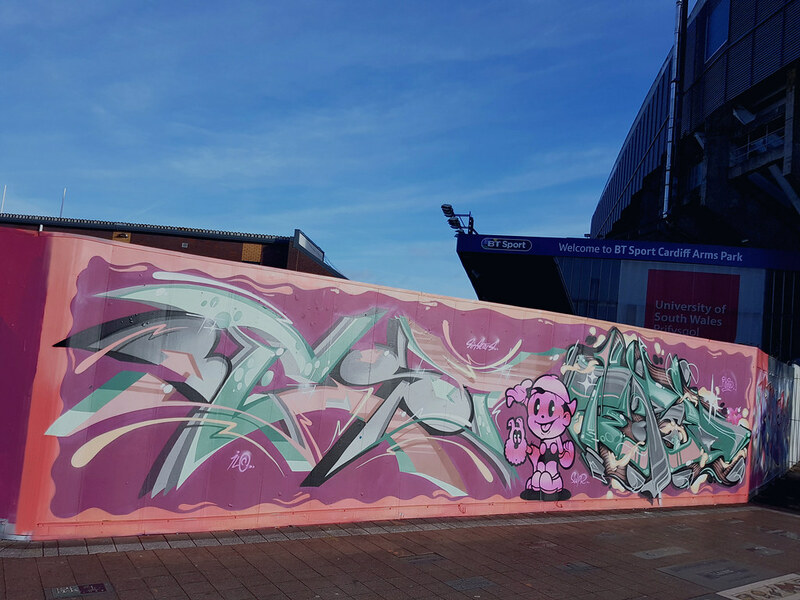 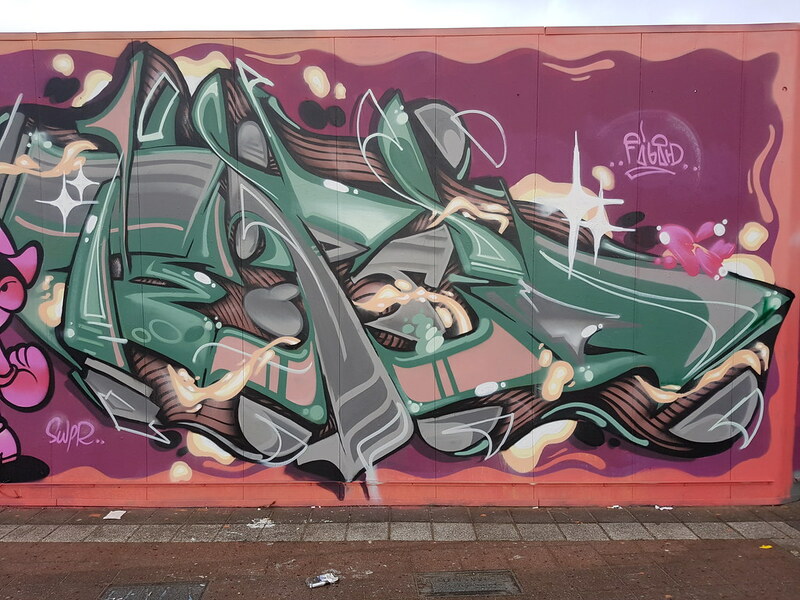 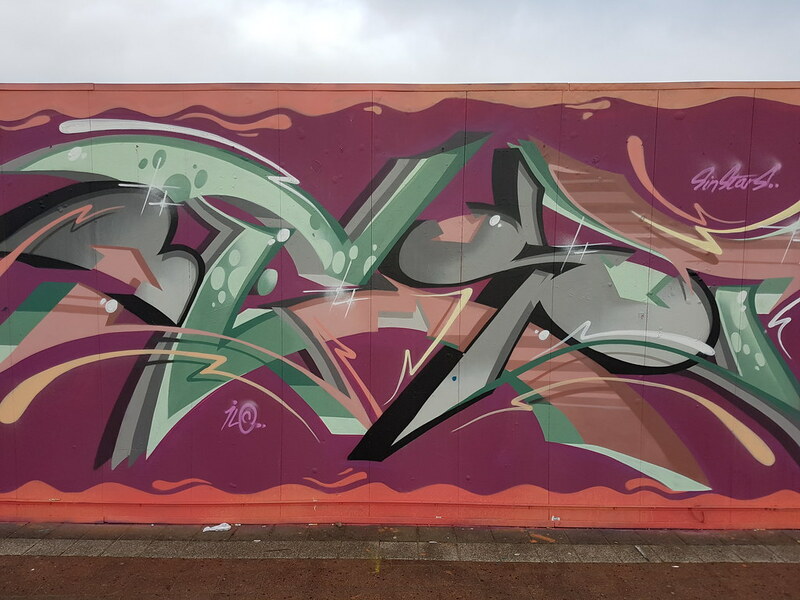 Great to see such high calibre work from both ends of the planet coming together on this wall in Cardiff. 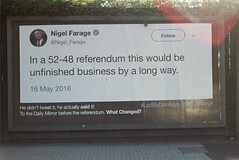 Don’t leave it so long next time!